This is a guest post in response to a previous blog post by friend of the blog Matthew Kustenbauder. Your post highlights the contradictions between today’s human rights regime (which is based on universal concepts of humanity and has its origins in European anti-slavery campaigns and traditions of humanitarianism, and before that debates in Christian theology) and the post-imperial international order (based on the nation state as the fundamental political unit). Since the rise of nationalism after WWII, new states that were historically part of empires (and thereby incorporated under their systems of law, governance, and trade) have had to make their own way. For most of these states, and especially for the people living within them, the new era of national self-determination has been no more kind than was the Age of Empire. The withdrawal of imperial powers left a vacuum that today’s international system struggles to address with any effect. There are many reasons for this, not the least of which is that it is a fragmented and cumbersome system that gives the impression all states are “equal” — clearly they are not. It also tends to be a forum in which smaller and poorer states invoke language of victimhood in an effort, ironically, to get larger or more wealthy states to step in and do the work that states are meant to do for themselves — namely, govern those residing within their boundaries. What do I mean by this last point? An illustration by way of anecdote may help clarify. I was recently frustrated watching a BBC World Report special (an outlet for the Bleeding Hearts Industrial Complex that you mentioned in your post) about multinationals and poor working conditions in the developing world. Cotton and chocolate were featured. The reporter investigated big cotton operations in India and cocoa plantations in Cote D’Ivoire. What registered as surprise to the BBC reporter was no surprise to me — He found lots of young women and children working there. But instead of asking why the local government didn’t regulate the industry or why they didn’t enforce the regulations already on the books, he ran off to Switzerland and the UK and America to ask why Nestle and Tommy Hilfiger, etc. don’t monitor their supply chains. I was baffled. This is a classic example of how an international system based on the sovereignty of individual nation states is at odds with universal notions of human rights. In many ways, it is the modern-day replacement for the old global-local tensions that existed between the imperial metropole and its colonies. We might ask, however, whether the current framework in which human rights activism operates is really any better suited to address the ongoing problems that plague developing nations. To my mind’s eye, the focus is on the wrong place … or is at least too focused on the role of businesses and advanced economies and not focused enough on working with multinationals in order to help citizens in poor countries put pressure on their governments to be accountable, competent, and truly sovereign. The emphasis on human rights by Western governments and development work by NGOs in African countries have, more often than not, undermined the sovereignty of national governments since decolonization. More recently, however, China has emerged as the largest trading partner with many African countries. This is a game changer, not only because the Dragon does not hold human rights sacrosanct, but also because, unlike its Western counterparts, China considers economic growth and trade essential to establishing national sovereignty and the nation-state (not the international community) as the principal guarantor of the well-being of its citizens. The degree to which China can be ‘socialised’ in the ways of the international system, which was after all created by the Great Powers to replace the disintegrating world that western empires had made, remains to be seen. In any event, the long-standing tensions between universal principals of human rights, on the one hand, and the limits placed on intervention into the affairs of one state by another in the name of national sovereignty, on the other, will endure. Matthew Kustenbauder is a PhD candidate in history at Harvard University. 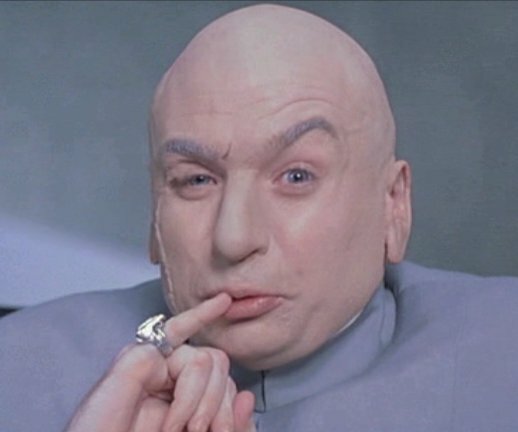 A trillion is 1,000 billion. “A global super-rich elite had at least $21 trillion (£13tn) hidden in secret tax havens by the end of 2010, according to a major study. What does a Sata Presidency Mean for Zambia? For a closer take on the Sino-Zambian connection check out Louise Redvers’ piece for the BBC. So the Economist beat me to writing about what a Sata presidency means for the Zambian economy, especially with regard to foreign investment. For the two of you out there who are not conversant with the campaign details in the Zambian election, Mr. Sata’s main campaign strategy involved characterizing incumbent President Banda as someone who was out to mortgage Zambia’s future to foreign investors, and especially China. The long and short of it is that Sata will definitely kick out a few shady companies that were operating outside the law – and these are not just Chinese firms; the South Africans and Australians also have some shady businesses in Zambia. The former, especially, have a lot of money-laundering operations. On the democracy and governance front, things won’t change much. President Sata’s camp is full of recycled UNIP veterans. UNIP was the independence party that ruled Zambia between 1964 and 1991. Mr. Sata, however, could surprise us by finally passing through a new constitution for Zambia. The last parliament killed the proposed constitution. The UN’s secretary-general has warned there is a “real risk” of a return to civil war in Ivory Coast after the disputed presidential election. Ban Ki-moon said the incumbent, Laurent Gbagbo, was illegally trying to expel the UN’s peacekeeping force after it recognised Alassane Ouattara as victor. The UNSC should pass a resolution preemptively holding incumbent Laurent Gbagbo personally responsible for any deaths that occur because of his refusal to leave office. Already dozens have died in riots in the Ivorian commercial capital of Abidjan. Mr. Gbagbo lost to Mr. Alassane Ouattara by 8 points. Since then the world’s biggest exporter of cocoa has been in a state of limbo, with both men swearing themselves in as president. The UN and the wider international community have recognized Mr. Ouattara as the duly elected president of Cote d’Ivoire.